Most Western commentators claim that there are only a few communist countries left on the planet. This huge mistake occurs, because these naive souls fail to distinguish observable economic polies, with foreign policy goals and long term strategic objectives. The rationale goes -"well country X is ruled by Marxist-Leninists and leftists, but they are pursuing "free market" economic policies, therefore they are not really communists and if we keep trading with them, we can eventually convert them to a western way of thinking." Sooner they will find fairies in the bottom of their gardens. the reality is that communists have always used "free market" policies when it suits them to build their economic base, secure foreign funding, or for strategic disinformation purposes. The key element here is while country X may operate some semblance of a market economy, Marxist-Leninists continue to control all key levers of power and foreign policy is completely tilted towards helping the international communist movement in its long term strategic plans. China, Vietnam, Laos, Mongolia, Mozambique, Laos and Angola, are obvious examples. To those, I would add Venezuela, Cuba (just starting), South Africa, Russia, and several of the Central Asian republics and most certainly Brazil. Former president Brazilian President Luis Jose Inazio Lula Da Silva, or "Lula" is a committed Marxist revolutionary, as his hand picked successor, former underground terrorist leader Dilma Rousseff. Luis Fleischman is one the few commentators to "get" the point. Writing for the Center for Security Policy, Fleischman's new column A closer look at Brazil's foreign policy exposes the folly of U.S. policy vis a vis communist led Brazil. Latin America is increasingly turning into a geo-political and international challenge. On the one hand, Venezuela, under the leadership of Hugo Chavez, continues to support the Colombian narco-guerilla group known as the FARC. The FARC protects the activities of drug cartels, and cooperates with terrorist groups such as Hezbollah. On the other hand, a number of Southern Cone countries led by Brazil (and supported by Argentina and Uruguay) did not go as far as Venezuela but have conducted a foreign policy which is detrimental not only to the United States but to the free world, in general. Brazil under the government of Jose Inazio Lula Da Silva took advantage of the country's economic growth (which was the cumulative result of years of economic and developmental polices that began before Da Silva took office) to flex its muscles in the regional and international arena. President Lula Da Silva surprised the world, when despite having a left-wing background plus having been a co-founder along with Fidel Castro of the anti-American Foro de Sao Paulo, appointed conservative figures to his cabinet. That move was aimed at maintaining the continuity of Brazil's economic development which was pretty much based on the strong role and cooperation of the business community. The fact that Lula did not go left on domestic and economic polices led many people in the region and in Washington to believe that Brazil's stand in the international arena would be similar. Thus, Washington policy makers sought out Brazil as an ally to counteract the growing malicious influence of Venezuelan president, Hugo Chavez. However, they were very disappointed and astonished by the fact that Lula not only failed to play such an expected role but also became an enabler of Chavez's revolutionary and expansionistic agenda. In Lula's own words, "Chavez has been the best Venezuelan president in 100 years". Likewise, Lula pointed out that the anti-democratic practices employed by the Venezuelan government belong to the realm of Venezuelan sovereignty and not to the domain of universal human rights. Just last week Brazil and its allies in the Southern Cone supported the inclusion of Venezuela in Mercosur, the South American common market, despite Chavez's anti-democratic practices which contradicts the group's clause that conditions membership on the existence of fully democratic institutions. In addition, Lula helped smuggle the deposed pro-Chavez former president of Honduras back into Tegucigalpa and shelter him there in the Brazilian Embassy. Lula has so far refused to recognize the elected government of Honduran president, Porfirio Lobo. The Brazilian president has also warmed up to the long and discredited die hard autocratic Cuban leader, Fidel Castro and called a Cuban political prisoner who died from a hunger strike a "criminal." Along with China, India and Russia, Brazil seeks a multi-polar world where the United States is not the only superpower. According to their thinking, world power is best shared among a number of countries. This scenario is not necessarily a bad one if maximum cooperation is achieved between these different political poles. One might question why the United States, alone, should be involved in every single case of counties that wish to develop nuclear weapons. Why should the U.S. be the only country to care about events in the world while the rest of the world waits for America to deliver a ready-made product? Why should the U.S. be the only country to raise concerns when democracy or human rights are violated while the rest of the nations seek only to satisfy their national interests? Indeed, there is nothing wrong with multi-lateral cooperation. However, Brazil's international behavior under Lula has been guided by a strong and obsolete dose of anti-Americanism brought directly from Lula's radical left political upbringing. Brazil does not really seek a multi-polar world of cooperation. Lula's notion of multi-polarity is based on his opposition to the power and policies of the U.S. Thus, Brazil has cooperated with Iran‘s agenda of developing nuclear weapons and gave Iranian president, Mahmoud Ahamdinejad, a hero's welcome when the latter visited Brazil. Brazil also recognized the fraudulent elections that gave a victory to Ahmadinejad in June, 2009 with no regard for the violence with which anti-government demonstrations were repressed. This insensitivity is reflected in repeated statements made by Lula according to which Iran "has a right" to a nuclear program. In this context, it is easy to understand why the Brazilian president was the first to unilaterally recognize the creation of a Palestinian state (with pre-1967 borders) while the U.S was making serious efforts to bring the Israelis and Palestinians together. According to Lula, who was successful in getting the Argentinean and the Uruguayan presidents to go along with this recognition, "it is a step to move forward a stagnant peace process". In fact, Lula was not only giving a free pass to the Palestinians in exchange for nothing but also trying to symbolically show its independence from and opposition to the United States and its ally, Israel. Lula's foreign policy logic is embedded not just on the fact that Brazil is now a great country and therefore it demands a place in the world. Such policy is also guided by a strong desire to diminish U.S influence; not only in the region but in the world. Lula's policy is amoral and is deprived of any global responsibility. Jorge Castaneda, a former Mexican Foreign Minister, has observed that Brazil is part of a group of countries that oppose "more or less explicitly and more or less actively" notions such as human rights, democracy and non-proliferation. Castaneda pointed out Brazil's foreign policy under Lula is closer to that of authoritarian China (with which Lula has astronomically increased commercial and political relations) than it is to the West. Lula's logic is of a political not economic nature. Like his fellows on the radical left, he dreams of a world with little American influence and claims a leadership role without offering any ideas that contribute to world peace: such as stability, human rights, opposition to international terrorism and nuclear proliferation ,or, any moral problems that have traditionally been the West's preoccupation. Lula's Brazil represents another version of Third World obsessed and outdated anti-colonialism. Under, a veil of sophistication (made possible due to comparisons with the ruthless and thuggish Hugo Chavez) Lula's Brazil has become a negative force in the region (attracting Argentina and Uruguay, countries now run by two leaders who share Lula's triumphalist attitude). Brazil is largely seen by Western countries as an emerging economic power but not necessarily a reliable political player. Under the new Brazilian president, Dilma Rouseff, no change should be expected except for the worse since Ms. Rouseff is a former guerilla and as such is likely to strengthen the policies of her predecessor. Meanwhile, the U.S and the Western powers should continue to block Brazil's attempts at playing greater roles in international affairs (including its demands to become a permanent member of the UN Security Council) and treat that country with the suspicion it has earned. On the eve of 3 October – with the strong wave of popular support for the candidacy of Rousseff – the liberal opposition in league with major media outlets has resorted to “dirty war” to try to prevent another people’s victory. 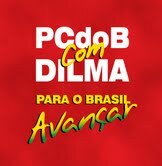 They manipulate facts, spread lies against Dilma, carry out a campaign of hate against President Lula to. They seek – any price – the drag the electoral race into a second round of voting. The West needs realize that it has far more enemies than it is willing to admit. the commies are as patient as their friends the islamists...if the west does not WAKE UP, we are going to be conquered by stealth. Thank you Trevor, for as usual informing us of what is going on.. I wish Murdoch would give you a show on FOX!!! "the commies are as patient as their friends the islamists...if the west does not WAKE UP, we are going to be conquered by stealth." They certainly proved that when they beat the bejesus out of each in Afghanistan. The patience part of that comment, not so much the alliance thing.